Loaded with features that appeal to ardent photographers, the Leica C-Lux compact camera is built around a 20.1-megapixel 1-inch sensor and features a 15X zoom (24-360mm equivalent), eyelevel viewfinder, 3-inch LCD monitor, UHD 4k (4030p) video, 5-axis image stabilization, versatile network connectivity, 10-fps continuous shooting, Raw image capture and speedy Contrast Detect DFD (Depth from Defocus) autofocus. Equally suitable for the beginner or apathetic casual shooter, the Leica C-Lux can deliver outstanding results even to the most inexperienced member of the family. 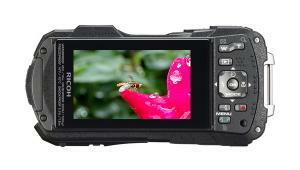 It offers fully automatic exposure settings with 24 built-in Scenes, an intuitive touchscreen LCD monitor and simple point-and-shoot operation (if desired). The function of the Control Ring that surrounds the zoom lens can be customized—and that makes it even easier to hand to any family member and be confident they’ll get good images. So that’s the spin, ladies and gents, if you’re trying to convince your significant other that it’s finally time for you to own a Leica. 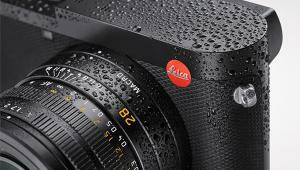 The Leica C-Lux is versatile, flexible and anyone can use it. And at the same time it’s sophisticated and has all of the manual and advanced features to feed your hobby lust. The Leica C-Lux measures 4.4 x 2.6 x 1.8 inches. For comparison, the Apple iPhone 6s is 5.4-inches long and 2.6-inches wide. Of course the Leica C-Lux is thicker. Quite compact, I had no problem carrying it in the cargo pocket of my trousers whilst urban hiking in Manhattan. Available in two designer colors—Midnight Blue and Light Gold—the blue Leica C-Lux we reviewed sports a silver-tone control ring and bezel, and a distinctive raised Leica logo cast against a classic red background. The blue is so dark that it could be mistaken for black. On the gold model, the control ring matches the body finish. Both versions are handsome and stylish. There is a strong family resemblance between this camera and the Panasonic Lumix DC-ZS200, and for good reason. Both cameras are based on the same camera core. Leica, as usual, added their own touches and customization, including tweaks to the image control code in the signal processor. The Leica DC Vario-Elmar 15X zoom lens is the equivalent of a 24-360mm zoom in the film camera world. That’s an enormous zoom range. As you probably know, 24mm is ideal for so many applications. 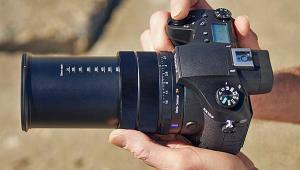 And on the telephoto end, 360mm is more than long enough for sports, wildlife and the like. A compact camera with a long, long telephoto needs high performance image stabilization to prevent camera shake which of course is amplified at long focal lengths. The Leica C-Lux uses 5-axis optical image stabilization and it’s very effective. I was able to successfully photograph a baseball game, almost exclusively at the 360mm zoom setting, without shake-induced blur. Further facilitating the efficacy of the 360mm zoom focal length, the touchscreen LCD is accompanied by an electronic Eyelevel Viewfinder that features 2.3-million pixels. Beginners moving up from smartphones can use the 3-inch LCD on the back to compose, focus and shoot—and can transition to the EVF as desired. On bright sunny days, having an EVF can make the difference between getting a good image and getting aggravated. The Leica C-Lux has a 49-point autofocus system that offers Face/Eye Detection, Tracking, Custom-Multi Pattern and One-Point AF Modes. Focusing is the Contrast Detect AF type that uses DFD (Depth from Defocus) to speed operation. DFD technology calculates physical focus settings based on information from two separate images that have different depth of field. The advantage is faster focus acquisition. For closeup work, the Vario-Elmar lens focuses to 3-centimers (1.2-inches) in Macro Zoom. At the telephoto end, close focus up to 1-meter away is possible, which means the lens can fill the viewfinder with some pretty spectacular closeup images. In addition to the expected P A S M modes, the C-Lux provides 24 Scene Guide modes, 20 Creative Control modes, sweep-style Panorama and Custom Mode. There is also a Creative Video Mode that allows you to record video using manual aperture, shutter speed and ISO settings. Finally, there is a Snapshot Automatic “A” Mode for fully decision-free operation. The Scene Guide and Creative Control modes are fun to play with. As found on many current compact cameras, the Scene Guide modes cover common things like Food, Portrait, Monochrome and Sunset. The Creative Control delivers options like Expressive, Low Key, Retro and Impressive Art. 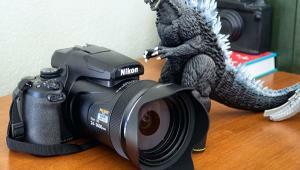 To advanced photographers, these may seem like hokum. But I repeat that they are fun to play with and after all, photography should be fun. Of special interest to me is the Panorama Mode. Although it’s difficult to appreciate all of its glory when reduced to 600-pixels wide, take a close look at the panorama I shot at Yogi Berra Stadium in Montclair, NJ. Cool, no? The Leica C-Lux can capture 4k video (UHD 4030p). The 4k video capability also allows you to capture 4k bursts (approximately 8-million pixel) at 30 frames per second. You can select and save a frame from the picture series file. The 4k capture technology also empowers two useful options: Post Focus and Focus Stacking. Post Focus allows you to record a 4k picture series while changing the focus point and then selecting a focus point after recording. (Needless to say, if the subject moves much, the shot is kaput.) There are two Focus Stacking methods possible when using this technique. Auto Merge, like it sounds, automatically selects the images most suitable for stacking and combines them into one picture. Range Merging combines the pictures with selected focus positions into one picture. Images of the Leica Image Shuttle interface on an iPhone. Featuring both built-in 802.11b/g/n Wi-Fi and Bluetooth LE (Low Energy) the Leica C-Lux can connect to a smartphone. 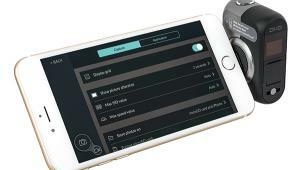 Users can download the free app Leica Image Shuttle and perform the following control functions: remote control (including a Live View picture from the camera on a smartphone or tablet), browse and display images saved to the SD card and—most importantly, perhaps—control shooting and image settings. 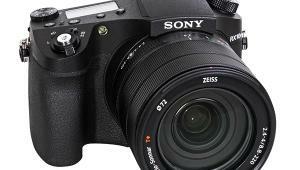 Plus, it’s possible to upload and download images between the camera and control device. Startup and lens retraction timing is on the slow side, but on par with similar models in this class. Whatever speed it lacks at startup is clearly overcome in other areas. Autofocus functions are very fast, and the Leica C-Lux can record images at a rate of up to 10 fps for up to 28 frames in Raw format, or up to 85 frames in full resolution JPEG. While NYC street shooting, I kept the Leica C-Lux turned on, but even so, the single BP-DC15 rechargeable Lithium-Ion battery pack lasted beyond two days of shooting. 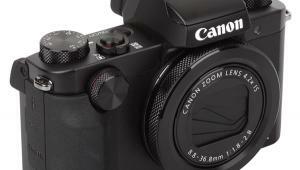 The battery, by the way, charges inside the camera, not in a separate charger. This is good news for travelers who have one less thing to pack or misplace. However, this is bad news for folks who own a spare battery and want to charge it without tying up the camera needlessly. Capture and Playback operations are simple and straightforward. There are four customizable hard buttons and five customizable soft switches, plus the customizable Control Ring that encircles the zoom lens. That’s one hell of a lot of flexibility. And if you don’t like the touchscreen operation, you can turn if off entirely, which I did more than half the time. The grip is another story: it’s just right. For my hands, anyway, the slope of the front grip, location of the rubberized thumb rest and position of the top control dial were optimal. The IQ is very good. That said, at 360mm telephoto it does not deliver the same sharpness that one gets from a DSLR and a fixed tele, nor should it be expected to. All things taken into consideration, including the compact size, extended zoom range and 5-axis IS, I give it high marks for image quality. The Leica C-Lux is like a Demeyere Atlantis sauté pan. In the hands of a talented chef it can be used to create Lobster Frittata. Or you can use it to reheat some beans and franks. 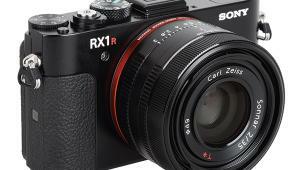 It’s an ideal travel camera and perfect for PTA and soccer games. 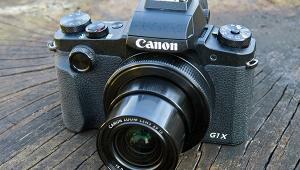 Use it on vacation or at work, and photograph birds or flowers on weekends. As I wrote at the beginning, the Leica C-Lux is versatile, flexible and anyone can use it. And at the same time it’s sophisticated and has all of the manual and advanced features to satisfy your hobby Jonesing. But there are some negatives. It’s a bit heavy and expensive. The Leica C-Lux scales out at 12-ounces fully loaded. 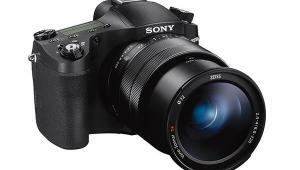 That compares favorably to other cameras in the same class, but much heavier than the 8.5-ounce Sony RX-100 (first model) which is also 20-megapixel (but has a significantly shorter 28-100mm zoom range). On the other hand, some folks will enjoy the heftier weight and solid feel weight conveys. But it is pricy. With a street price that’s north of the $1,000 mark, it costs about 50% more than the similar Panasonic model. There’s one aspect that’s impossible to put a price tag on: pride of ownership. It’s a Leica, and for nearly 100 years, Leica has been the camera brand that has a magical currency all its own. As I go outdoors with this camera for nearly a full day, I carry an extra battery pack. 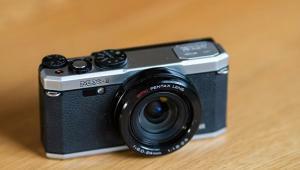 You can use the Panasonic or Leica battery. A genuine Leica charger to charge the battery outside of the camera is available. The lens is definitely less sharp at the long end of the zoom, but perhaps due to the overall limitations of the camera, I've found that the long-zoom JPEGs sharpen up to very nearly as good as shooting the same image up close. 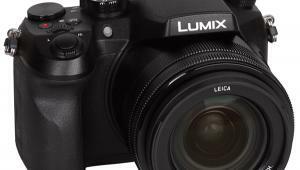 The actual MSRP of the C-Lux is $1050 USD compared to the $800 Panasonic ZS200, so that's only 31 percent more rather than 50 percent. As an aside, and while they're not directly comparable in all features, the Leica CL with short-zoom kit lens is 7-8 times the price of several fairly new APS-C cameras like the Canon M100 with kit lens. My feeling is that 31 percent more is fine for a compact camera like the C-Lux, and perhaps 2-3 times more is OK for the APS-C Leica CL given that it has a high-res EVF, but 7-8 times more is a non-starter. In my country the Leica C-Lux sells for 970€ and the equivalent Panasonic TZ-200 for 779€ at the local dealer. That's approx. 20% difference and acceptable from my point of view for a compact camera. When Leica released in 2013 the Leica C Typ 112, that I still own, the price difference with the Panasonic LF-1 was approx. 33% but Adobe Lightroom license was included. The Leica CL is a complete different camera in the line from Leica. 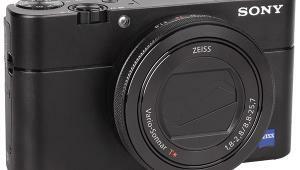 A compact camera with comparable zoom range is the Sony DSC-RX100 mark VI but with a price of 1299€. Has anyone tried this? Would it be feasible?